The upcoming episode of Yeh Rishta Kya Kehlata Hai is all set to witness a fight between Goenka Family and Singhania family. Singhanias are cruely blaming Naira for Keerti's (Mohena Singh) sudden demise and Naksh's traumatized condition. Even they break all ties with Naira(Shivangi Joshi) that leaves everyone in Goenka Family shattered. But another major shocker come for Naira and Kartik when Goenkas ask Singhanias to handover Keerti's (Mohena Singh) child to them so that Naira could take care of him. 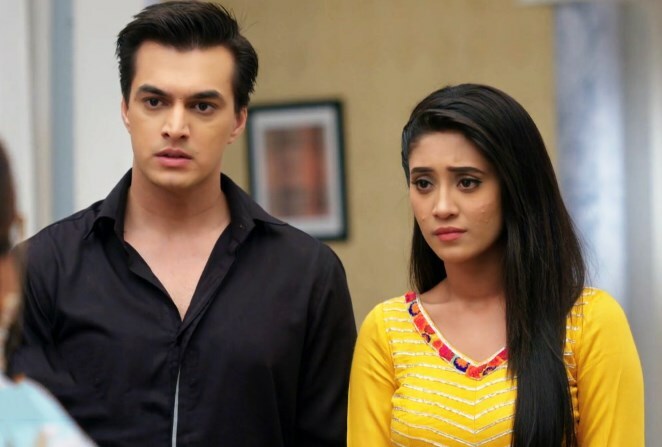 Naira (Shivangi Joshi) and Kartik's problems double up when Goenkas and Singhanias fall into argument. Kartik (Mohsin Khan) and Naira are tensed for Keerti and Naksh's child and decide to take care of him. Let's wait for how Kartik Goenka and Naira will manage this decorating condition of their family relations.